Highlights of Rome – Combo Driving and Guided Tour is the best chance you will ever get to have an ovreview of some of the most gorgeous places around Rome! You will be comfortably driven around Rome's beauties by our fantastic private driver, while our super expert guide tells you the most interesting facts about them! Could you believe that a tour can be adventurous and relaxing at the same time? Well, our Highlights of Rome – Combo Driving and Guided Tour is exactly like that. If you want to explore Rome without making no effort or stress, just choose it now! 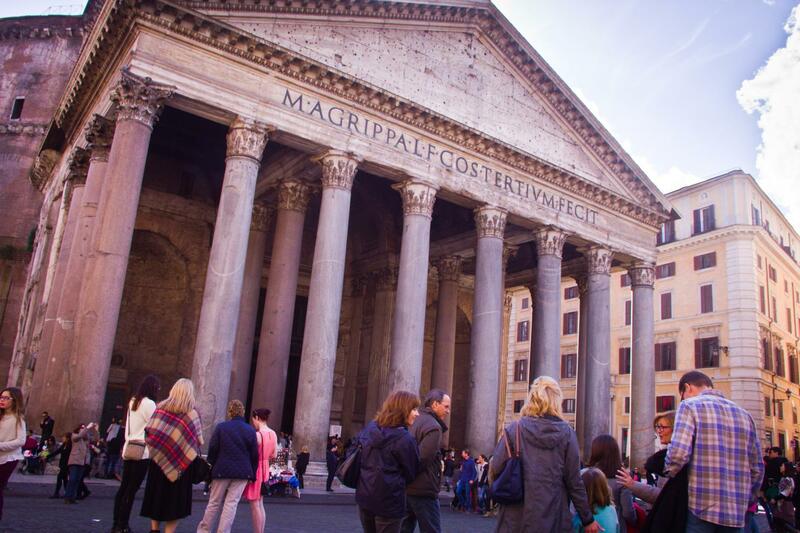 Our Highlights of Rome – Combo Driving and Guided Tour brings you around some of the most beautiful places in Rome! If you come to Rome for the first time, you might be overwhelmed by its beauty. You really do not know where to start exploring. No promblem! 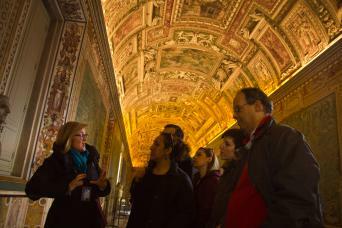 Our Highlights of Rome – Combo Driving and Guided Tour is the perfect solution for you. The tour begins right in the lobby of your hotel, where your driver and guide will be waiting for you. 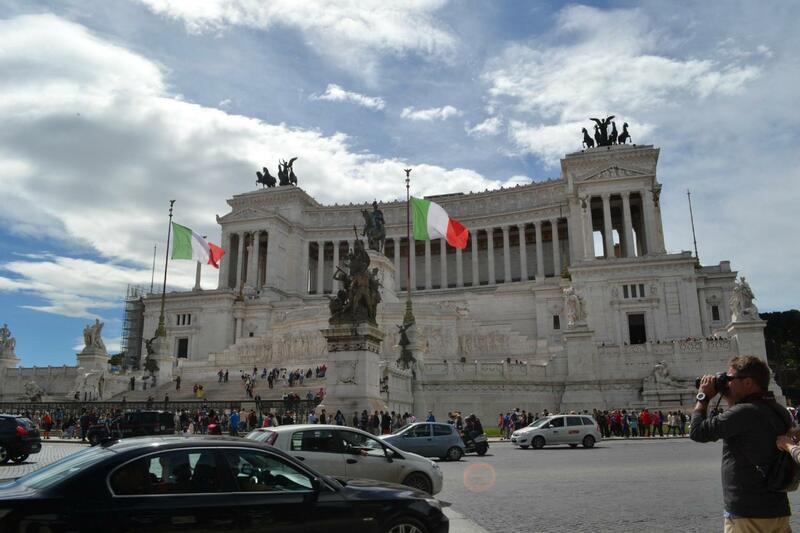 On board of your VIP car or minivan, you will be comfortably escorted around Rome to enjoy some of its top beauties. Did you know? 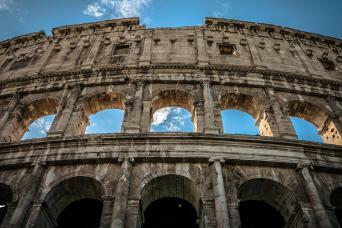 Rome is known as the "Eternal City"... And it is! Its art and history date back thousand years ago. Touring around alleys and monuments, you will find at least hint of literally every historical period. There is so much to discover! Thanks to our driver you will discover it all, while our super expert guide tells you the most interesting facts about its history and art. Let's sum up the stunning places you will see through this tour. Your will have the chance to have an outside view of Farnese Palace, one of the most charming buildings of 17th-century architecture. 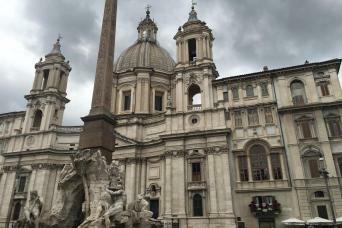 Then you will see the super famous Navona Square, with its unique Baroque atmosphere and the amazing Fontana dei Quattro Fiumi (Fountain of the Four Rivers) by Bernini... An interesting story of artistic rivarly lies behind it, but we will not tell you. Our guides will surely tell it a lot better; just ask them! Navona Square is actually very close to your next stop, the Pantheon. This circular building is an ancient temple, then consecrated as a christian church. Not only it is famous for its circular dome, but also for the peculiar hole it has on its ceiling. If you are curious to know everything about it, be sure that our guide will answer to all your questions! St. Ignatius Church is another of your tour highlights, with its stunning Baroque interiors and structurre. Minerva square is famous for hosting a church, Basilica di Santa Maria sopra Minerva (in English, Saint Mary above Minerva), built over a temple dedicated to Minerva, whose statue is now in the Vatican Museums. Pietra Square (literally "Stone Square") owe its name to its beautiful colonnade. Originally it was part of a huge temple dedicated to the Emperor Hadrian, of which only that wall remains nowadays. If you just turn the corner and walk a few meters from there, you will get to Colonna square, where the Itallian governament has its seat. Trevi Fountain is another must of your itinerary. Do not forget to throw a coin into it, so that you will come back in Rome... Or at least, that it what is believed! The Spanish Steps are your last stop, but they are really worth the wait. Spagna Square is one of the most gorgeous places in the entire city! Of course these are just the highlights of your tour... Rome hides something beautiful at every corner! Explore it all with our private driver and guide and on luxury vehicle by boking our Highlights of Rome – Combo Drive and Guided Tour!